Includes tips on housetraining, socializing, and more Get the scoop on bringing a Boston Terrier home and raising him right Have the unmistakable snout, bulging eyes, and endearing snorts that trumpet the Boston Terrier stolen your heart? Whether you're thinking about adding one of these American Gentlemen to your home or already have, this book gives you all the basics on raising and living with this intelligent, affectionate breed - from feeding and healthcare to basic training. 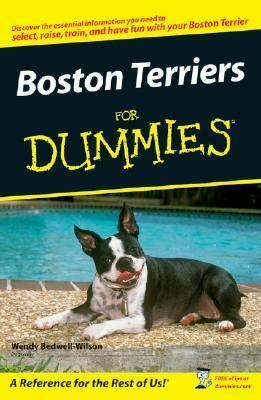 Choose the right Boston for you Puppy-proof your home and yard Teach your Boston basic commands Correct Boston behavior gone badBedwell-Wilson, Wendy is the author of 'Boston Terriers for Dummies ', published 2007 under ISBN 9780470127681 and ISBN 0470127686.